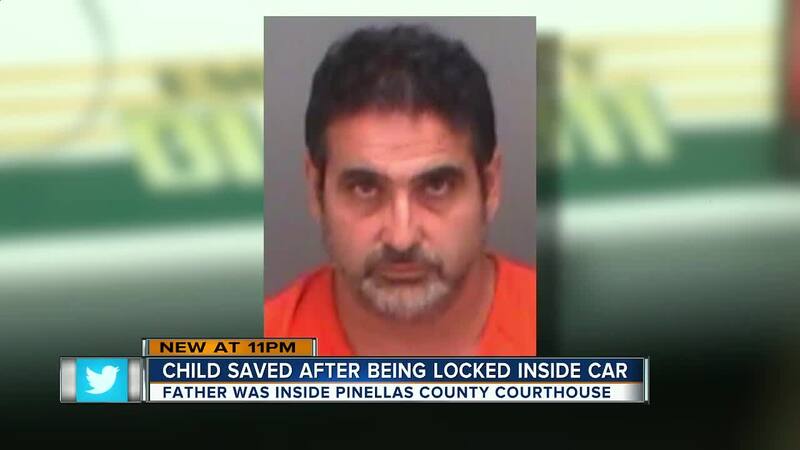 CLEARWATER, Fla. — A father was arrested on Thursday for leaving his 4-year-old daughter in a locked car for two hours while he was inside the Pinellas County Courthouse for a hearing. 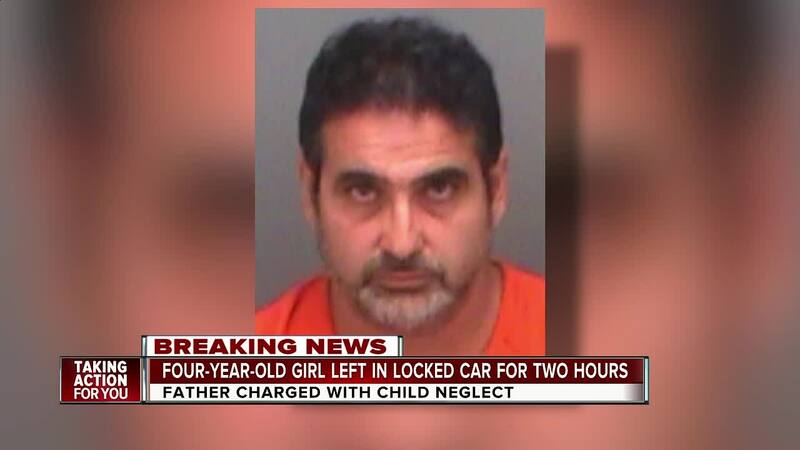 According to Clearwater Police, Dean Baaj, 51, of Clearwater, left his daughter in the car while he went into the courthouse around 8:45 a.m. for a civil hearing. The windows were rolled up and the sunroof was open, according to police. Police say that approximately two hours later, a passerby heard the child calling for help and alerted a deputy inside the courthouse. The temperature outside at the time the child was found was 82 degrees. The child was checked out by fire medics and found to be ok. She was then turned over to her mother, who was at the hearing at the courthouse as well. Court records reveal Baaj was in court for a domestic violence injunction. Baaj was arrested and charged with child neglect. ABC Action News was there when Baaj walked out of the Pinellas County Jail on bond. He refused to answer reporter Ryan Smith's questions and sprinted into traffic on 49th Street N. to avoid our camera. Rebecca Pawley lives next to Baaj in his Clearwater neighborhood. She tells ABC Action News, Baaj always appeared to be an attentive father. "I've seen him so many times with his daughter playing, I mean she's such a cute little thing," said Pawley. "That just shocking. I just can't understand why he didn't ask somebody to watch her for a couple hours."